Hats off to all the amazing residents, business partners and staff throughout the #TreasureCoast area and #IndianRiverCounty for all that was contributed to make our relief effort run to the Panhandle of Florida on October 26th, 2018 a success. The town of Malone, hard hit by Hurricane Michael, was grateful to receive the thousands of pounds of supplies. Greeted by the the Mayor himself, the National Guard and other first-responders all hands were on deck, ready to help unload. “It’s amazing to see what can be done when we all link up to help,” commented Jennifer Toby who headed up the organizational efforts alongside Marty Zickert of the Veterans Council of Indian River County. 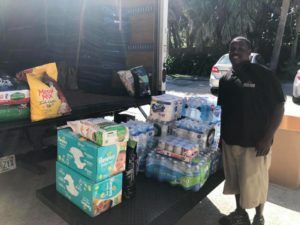 Starting with a phone call immediately following impact, the team at White Glove Moving & Storage was able to send a truck to mobilize to West Palm Beach to pick up several thousand MRE’s for shipment to the Panhandle via commuter planes on October 12th. 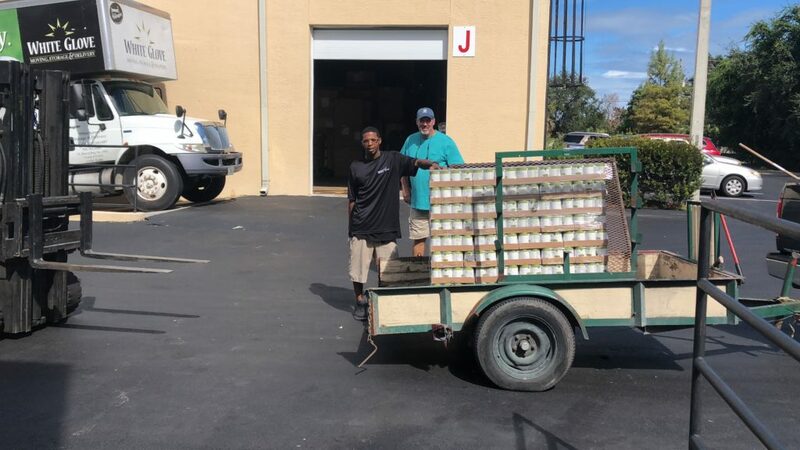 Thanks to the generosity of Islamorada Brewery, crews were able to store items there which was close to the St. Lucie County airport to shuttle the “ready to eat” meals to the planes once clearance was given. 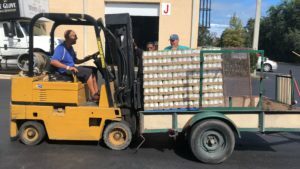 From that point, in just two weeks, several thousands pounds of food and supplies were raised by local groups and residents. Honorable mentions must be given to the Community Church of Vero, the Indian River Food Pantry, Remax Associated Realty, Dale Sorensen Real Estate, the Robin Raiff EXP Real Estate Team and Walking Tree Brewery who all went above and beyond to gather supplies that were much needed for the town of Malone. White Glove Moving once again mobilized a truck and crew, this time driving all the way to City Hall in Malone. While many roads were open, there was still much devastation and debris everywhere. Many areas were still without power or were operating on marginal means. 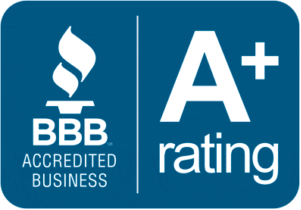 “Being in a position to be able to give back and offer much needed help by using our movers and trucks is really rewarding,” remarked Caleb Clements, President of White Glove Moving & Storage. 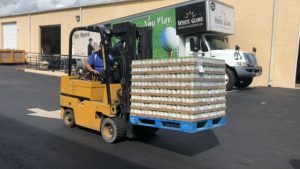 To date, the White Glove team along with the many wonderful people of our Treasure Coast community raised and moved more than 30,000 lbs of goods to the area. As movers with big hearts, White Glove welcomes the opportunity to assist when available especially to our fellow Florida neighbors. Should you know of anyone moving and wish to recommend our community, our team would greatly appreciate the referrals as we hope to continually be a resource for folks needing help with the heavy lifting. Free estimates and more information available by calling 772-778-4750.